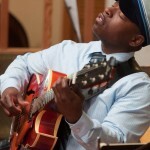 Guitarist Terrence Brewer putting down a serious groove at the Grapes and Grooves event. 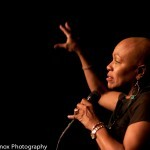 Dee Dee Bridgewater mesmerized us recently at Yoshi’s San Francisco singing the music of jazz legend Billie Holiday. She was phenomenal!